The avionics in this airplane are pretty intuitive, but a learning curve is unavoidable for everyone. To spare yourself frustration and unwelcome delays using it in-flight it is highly recommended to use the free PC Trainer and/or iPad Trainer to practice use of the GTN 750/650 on the ground, and of course also read the manuals. There are no software simulators for the G5 units or the autopilot, so reading those manuals is also a must. Links to all manuals can be found on the cockpit page and in the drop-down menus above. One of the more demanding tasks is to swiftly handle any curve balls ATC may throw at you to accommodate inbound traffic situations during an IFR approach. This presentation by Bruce Williams is an excellent and easy to understand step-by-step tutorial to try side-by-side on a GTN 750 simulator (see links above). The G5 units offer a shortcut to press and hold the ON/OFF buttons in order to turn them off within 3 seconds instead of 45 – please refrain from doing that as it can get them into a state where they won’t start up after turning on the master switch the next time (if that happens, press and hold the ON/OFF button for some 10+ seconds, and the unit should start up eventually). Normally you should not have to press the ON/OFF button on the G5 units at all. The GTNs can calculate TAS in the Utilities > DALT / TAS / Winds app after manually entering the parameters that are not sensor-provided. It cannot continuously provide TAS information to the user fields on the Map screen. Fuel: Please note that the digital fuel gauge on the left side of the cockpit is not connected to the GTN units – therefore, at the beginning of your flight you want to add up the numbers of the two tanks and verify / update them as needed on both GTN screens upon booting up the avionics (right after the GPS database information) for fuel planning purposes. 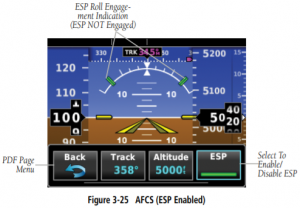 To properly pre-fly and use the full potential of this AP to your advantage and ease your workload in the cockpit please familiarize yourself with the AFMS and this guide published by Garmin – and of course follow the advice of your CFI. The most common way to disconnect the autopilot is to press and release the AP DISC / TRIM INT button located on the control yoke. An autopilot disconnect tone will sound and an amber AP will be annunciated on the G5 autopilot status box. In the event of unexpected autopilot behavior, press and holding the AP DISC / TRIM INT button will disconnect the autopilot and remove all power to the servos. An important AP preflight element for you to think of if you are planning on practicing maneuvers such as steep turns, stalls etc. 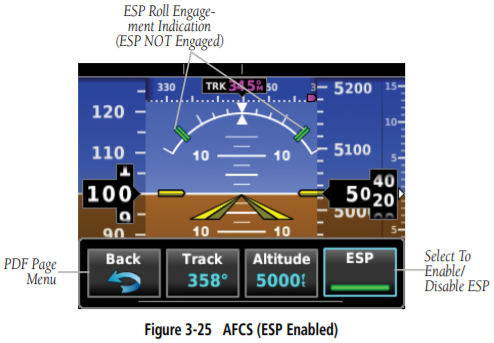 is to be present to / disable ESP (Electronic Stability & Protection) via the G5, because when it senses that the aircraft is near the defined operating limit in pitch attitude, roll attitude, high airspeed, or low airspeed, this function will automatically engage one or more servos to nudge it back to the nominal operating envelope. Warm start: Above 100°F oil temperature you typically first want to try starting the engine without priming. If that fails and you think you do need to prime after all, do not over-prime – doing so washes away engine lubrication and causes cylinder wall damage. Cold start: Priming long enough is as important as adding enough throttle; try a bit more than both 3-5 seconds and ¼ of a inch throttle forward when you start. NEVER crank an engine longer than ten seconds and ALWAYS wait twenty seconds before cranking again. You can do this up to five times. If it hasn’t started by then, give it 30 minutes to cool down or you risk causing damage. This plane is equipped with ADS-B In (Traffic, WX) information to both the GTN units and also available to your EFB app (ForeFlight, Garmin Pilot) via Bluetooth. Get the GTN750 into Bluetooth pairing mode simply by navigating via HOME > System to the Connext Setup page. DO NOT CHANGE ANY SETTINGS ON THAT PAGE! The Bluetooth pairing must be initiated by your portable device – look for N513WF. Pop-ups displayed on the portable device and GTN will be displayed to confirm the pairing. Next time you fly your device should connect automatically, no need for the above procedure. If it doesn’t go to the Connext Setup page again and tap on Manage Paired Devices; check if your device is listed. If not then pair your device again. 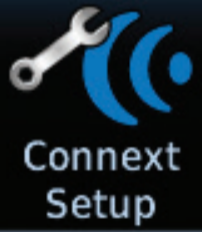 Note: Be sure to use Bluetooth – should you look at WiFi and happen to see a N513WF-MX WiFi network, do not connect to it – the GTN WiFi should neither be on nor used as it’s for database maintenance by authorized persons only, and it will not provide you with any of the ADS-B In information you’re looking for. Never remove any of the data cards from the avionics, especially not while the units are turned on. Any outdated databases on those cards are to be updated by Galvin staff only. Please use the display cleaning cloth in the glove compartment. The GTN units have displays that are coated with a special anti-reflective coating that is very sensitive to waxes and abrasive cleaners. CLEANERS CONTAINING AMMONIA WILL HARM THE ANTI-REFLECTIVE COATING. It is very important to only clean the displays using a clean, lint-free cloth and an eyeglass lens cleaner that is specified as safe for anti-reflective coatings. 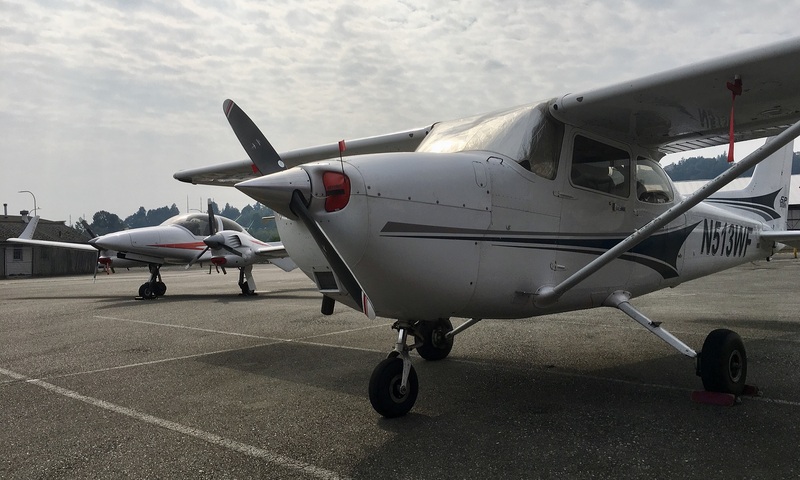 During preflight and after flight, whenever you walk around or move the plane with the tow bar please close the doors at least to the first noticeable notch (so that they hold in place) so as to avoid sudden door swings with wind gusts. Please always install the control lock on the yoke after every flight. It’s part of the checklist and a required step. It may not be gusty when you come back, but wind conditions can change quickly, and the ailerons and elevator control surfaces need to be protected from sudden movements.